Katherine: Hello and thank you everyone for joining us here on This Needs to be Said. Our friend, attorney, Ron Drescher is here and he’s talking about what … Actually, it’s continuing the conversation. We were talking about his upcoming book. The book is here, so he’s talking with us about his book today, The Single Mom’s Guide to Financial Recovery. You got a preview of that in the last interview I did with him as he was telling us women how we are able to get back on our feet and he has that mapped out for us in the book. Katherine: I remember commenting that I wish I had something like this when my children were younger, because there just were not any tools to help me recover. You were figuring it out and life was just happening. As he is an attorney, he’s coming to help women, especially in this case, to be able to look for the help that we need, and to be open to receiving it, and that is not over our head, making it very plain for us to be able to get the help and feel good about that. I want to welcome back to This Needs to be Said, attorney, Ronald Drescher. How are you? Ron Drescher: I’m great, Katherine. Thank you for having me. Katherine: Thank you for coming back. Now, you were listening to me go on a bit about the book, so I just want to make sure I’m hitting the points just right. Did I learn good last time when we talked? Ron Drescher: That was perfect. That was a great introduction into what I’m trying to accomplish with my book. Katherine: Awesome. Well, let’s just jump right into it. No more of me talking. I’m excited. The book is here and you’re ready to let people get a copy. 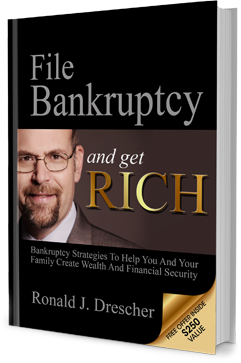 Ron Drescher: What I’m doing with this book is I’m trying to reach women who might have preconceived ideas about bankruptcy, and negative aspects of bankruptcy, and how that will stop them from taking the steps that are available to help them out of a really challenging situation. Once you get past the introduction, the first chapter is three sneaky, snarly, slimy myths about bankruptcy. Ron Drescher: I think those are what are holding people back. Ron Drescher: The three sneaky, snarly, slimy myths. Katherine: That’s surprising that you said that. Ron Drescher: Filing for bankruptcy is a personal failing. An interesting statistic that I discuss in the book is that roughly 57% of bankruptcies in 2009 were a result of medical bills. I mean, that’s just a case where you can’t afford health insurance, or even if you afford health insurance, the deductibles and the copay’s are just overwhelming. So many people have a health insurance plan that is a catastrophic plan, so that if you go into a … If you get into a terrible accident, and you’re sent over to the emergency room, and you have a $20,000 procedure, that’s going to be covered. But you know what? That’s going to leave you with a four or $5,000 deductible and that may not help you that much because you may not have the money to pay that, and so you’re going to find yourself filing for bankruptcy anyway. Ron Drescher: Hard to argue that if you’ve got a massive health problem that, that’s a personal failure, or that’s just a … Or, people get laid off all the time in this economy. That’s not their fault if a corporation decides that they want to maximize profits for shareholders so they cut workers and worker’s benefits. I mean, it’s hard to argue that that’s a personal failure. But that is a myth that people say, “Oh, I can’t. I can’t consider bankruptcy because I just can’t. I wouldn’t be able to face myself.” And that’s a shame because most of the time it doesn’t work that way. Then the third myth is that bankruptcy will ruin your financial future. But the real truth is that for most people bankruptcy will cause their credit scores to increase and improve. So many people say, “Oh, my dad, or my uncle, or my cousin said if I file bankruptcy I’ll never be able to get credit the rest of my life.” I hear that over, and over, and over again. Ron Drescher: But the truth is, if you do the right things in a year or two after your bankruptcy your credit score will be much higher than it was before you went into bankruptcy and you can start getting cars and credit cards that you’ll use responsibly, where before the bankruptcy you just didn’t have that opportunity. Those are three myths that I feel are really important to tackle so that the people that this book is directed to can get into it and say, “Yeah, you know what? Yeah, they’re speaking to me, because I’ve had these fears.” All right, that’s chapter one. Katherine: Oh, that’s just getting in the beginning. Listen, let’s pause for a second. I want you to tell people how they can connect with you to get a copy of The Single Mom’s Guide to Financial Recovery, before we go any further. 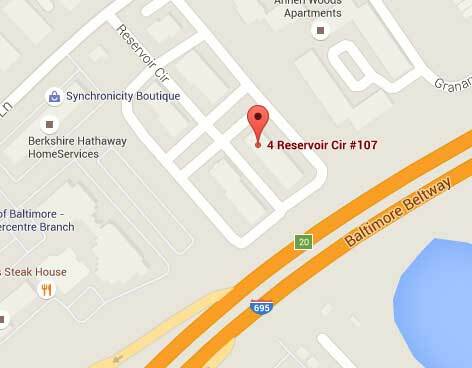 Ron Drescher: Well, they can call our office at 410-484-9000 or you could go on our website at https://www.DrescherLaw.com that’s D-R-E-S-C-H-E-R law.com. Those are the easiest ways to get the copy and I’m happy to send it out to you. Katherine: Awesome. It sounds like it’s going to help so many people. Women, our roles have changed so much over the years that we are heads of households whether it by choice or by force and you are trying to juggle everything on yourself, so you may find yourself coming up short. Again, with any other myths that’s out there, or things that may be true, what’s superior, or what we can be allowed to do as women, you’re putting in our hands a system that’s going to help us navigate that. Not make it all go away because life is going to happen. We’re going to have obstacles, but you’re helping us to confidently get over that. It just sounds like a lot of women are going to be helped with this. Ron Drescher: Something that I’ve discovered about bankruptcy, and so many people think that only clients who have been irresponsible with debt, and credit cards, only they’re the ones who file bankruptcy. But, what I’ve discovered is that the vast majority of people who file bankruptcy, when they took on a debt they had a plan. They had a plan for paying that debt, either through their work, or through their business, or because they’re married, they’re in a two income family. They’ve got a plan and they stick to the plan, most people. It’s only when the plan goes array, almost always through no fault of their own. Ron Drescher: They get laid off, they get sick, they get injured, and they get divorced. Their business goes under because they’re running a mom and pop convenient store and Royal Farm comes in across the street. It’s only when their plan goes array that people find themselves unable to pay their debts and that’s when they need to get help. I feel like that’s a very important thing for clients and potential clients to keep in mind, that give you credit for having made a plan. But if the plan doesn’t go the way you wanted it to go, find out what your options are. There’s no shame in getting help. Katherine: Not at all. Since you’ve been coming on the show, it has given me a different perspective of attorneys because you do feel like you’ve been bad. You did something wrong. You’re now in the principal’s office. Something I did put me here and it’s just not that cut and dry in life. It’s a mix of life happening and you have brought a calm to me with being able to say, “Okay. Attorneys aren’t trying to get me, and I didn’t necessarily do something bad, and I can learn something, and they do care.” Because every time you’ve come on the show to talk about any aspect of bankruptcy, you’ve always had the human factor in there. Again, I just think … I may really be trying to sell your book here. Ron Drescher: I appreciate that. Katherine: I just think that this is amazing to me and it’s just … So much has changed in 20 years. Where were you 20 years ago when I needed this? But I’m glad it’s here and I just, I know it’s going to help so many. Ron Drescher: You said something a couple of minutes ago. This isn’t really germane to my book, but I think it’s germane to the overall experience that women are having in the world. 125 years ago, this isn’t that long ago in the scheme of things, it was illegal for women to wear pants. Women got arrested … An 80 year old woman got arrested in the 1880s for wearing pants in public. Ron Drescher: That’s the way it used to be, but now women, they need to run families, and make decisions, and that’s really … That’s the way it should be. I think women need to have solutions to the problems that face them in the modern world. Katherine: That’s what I was trying to say. You said that perfectly. Absolutely, absolutely. You just gave us the tip of the iceberg. You said that was chapter one. We have run out of time, so we’re going to have to have you come back and continue sharing with us about the book, how people are responding to it, and what else we can gain from it if we haven’t already gotten our copy. Okay? Ron Drescher: That would be my pleasure. I would love to come back. Katherine: Awesome. Thank you so much. Until next time, you have a wonderful day. Ron Drescher: Thank you, Katherine. Appreciate it. Posted March 26th, 2019 & filed under Interview.